Angry Birds developer Rovio is planning to ramp up its games output and has as many as 12 projects currently in the works. 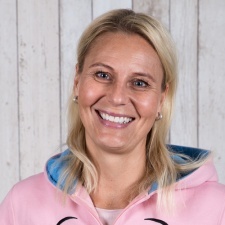 Following the release of the Finnish developer's financial report for the three months ending September 30th 2018, CEO Kati Levoranta explained that it needed new titles to accelerate growth. She also said that the company was aiming for two game releases next year and that two titles were already in soft launch. It's unclear however if those are the two titles that will be released, which will most likely depend on whether reach certain KPIs. The new release strategy comes as the Angry Birds developer recruited a new executive VP for its games unit in former Gameloft exec Alexandre Pelletier-Normand. Overall, Rovio’s revenue crept up 0.5 per cent year-on-year from $80 million to $80.4 million. Due to its lowered user acquisition costs, operating profit leapt up from $1.8 million to $11.7 million, which is a 566.8 per cent increase. Rovio’s games segment dipped 1.3 per cent, however, with revenue slipping from $72.3 million to $71.4 million. “While we reiterate the importance of continuously improving our live games with the goal of increasing their revenue over time, it is clear that we need new games in order to accelerate growth,” said Levoranta. The Rovio CEO also explained that the developer had shifted its focus away from user acquisition, with operating profits looking healthier for it. “The costs of acquiring new users were somewhat higher than in the previous quarter,” said Levoranta. Rovio Entertainment executive producer Sophie Vo will be a speaker at Pocket Gamer Connects London 2019, which takes place on January 21st to 22nd.